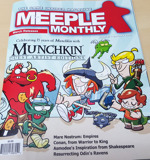 Spyke's mug is sneaking into more and more publications; this time in Meeple Monthly! 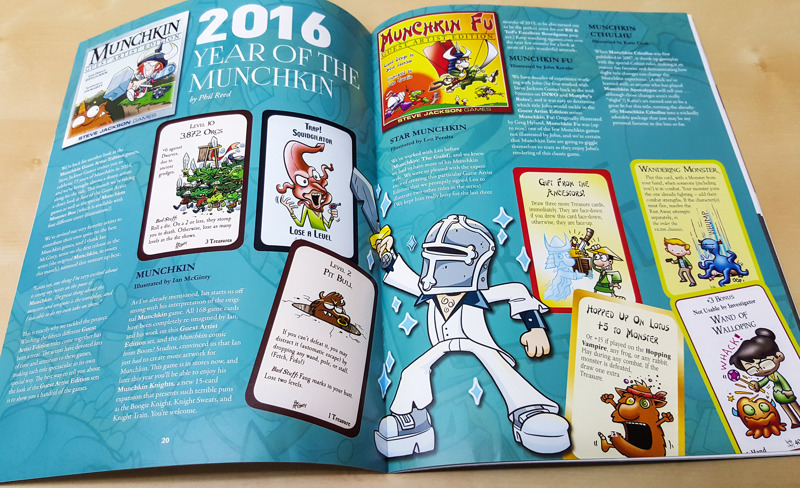 CEO Phil Reed wrote an article about a few of the upcoming Munchkin Guest Artist Edition games, like Munchkin Fu Guest Artist Edition and Munchkin Cthulhu Guest Artist Edition! In addition to the Phil's wordsmithing, there are a few sneak preview card images to tide you over until they come out. The article also spills the beans on the Munchkin Monster Box, the upcoming storage solution for this avalanche of new Munchkin goodness! 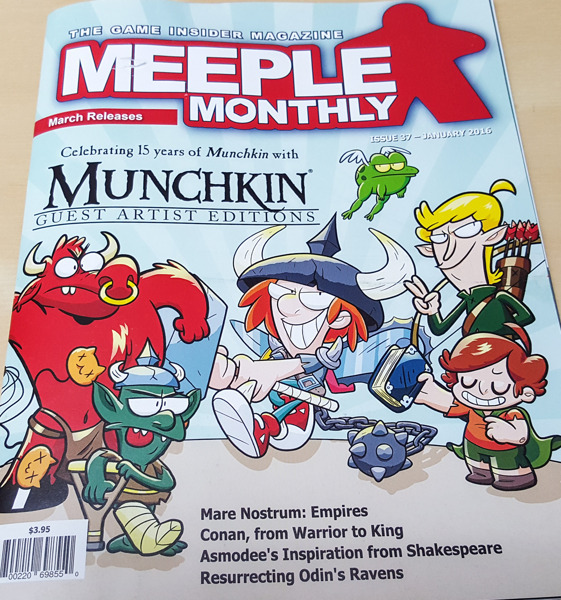 Pick up the new issue at your Friendly Local Game Store today!